WordPress is the best blog publishing application and content management system. Further, WordPress is one of the trustworthy open source blog scripts freely available at present. Nowadays, most of the web hosts provide a one click installation of WordPress installation through Fantastico script. If the above feature is not available with your web host or if you wish to take more advantage of WordPress; install WordPress by yourself. 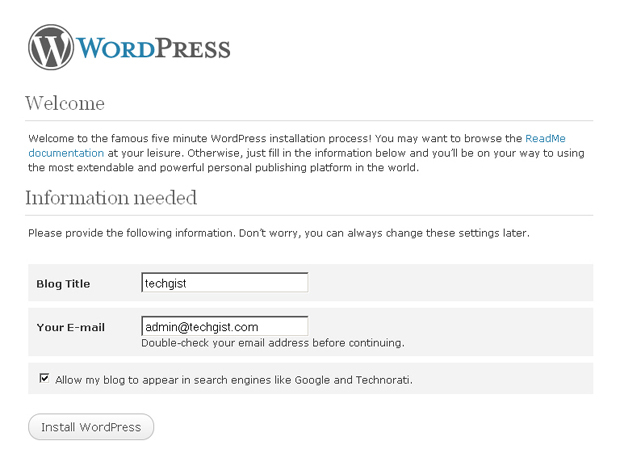 WordPress installation is easy and it will take less than 5 minutes time to install. 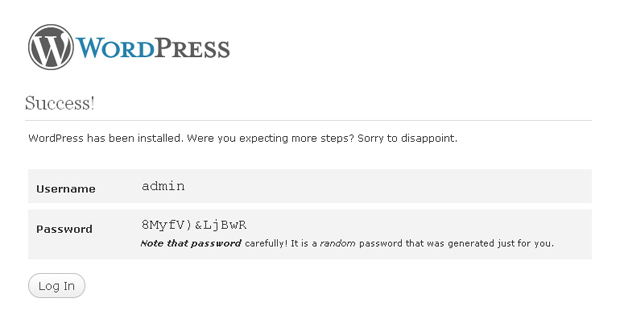 Below is the step by step installation guide of WordPress. Access to your Hosting Control Panel and obtain permission to create a MySQL database. Also, FTP access to your hosting server to upload WordPress files to your server. Make sure your web host has the minimum requirements to install and run WordPress. Download the latest version of WordPress and unzip to a folder. Below is a quick installation guide to install WordPress on your Website. Create a MySQL Database by using your hosting control panel or phpMyAdmin. Now open your favorite web browser and type the URL of the directory where the WordPress files are uploaded. It will automatically take you to the installation screen. Please note with the newer version of WordPress you don’t need to edit the config file manually. Now just click on to Create Configuration file WordPress will automatically take you to the next step for creating a config file. 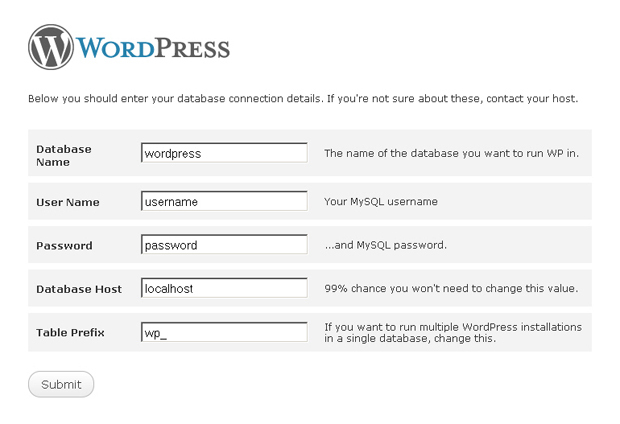 Now you will see a screen like the one below where you need to enter your database connection details to let WordPress create the config file for you. The config file is created successfully and now you can hit Run the install button. Next step is to enter your blog title and admin email (a valid email is highly recommended). Also if you want your blog to appear in search engines then check the box that says “Allow my blog to appear in search engines like Google and Technorati.” Then click on Install WordPress button. You will now see a Success! Page with your username and Password. WOW! You completed the WordPress installation successfully. 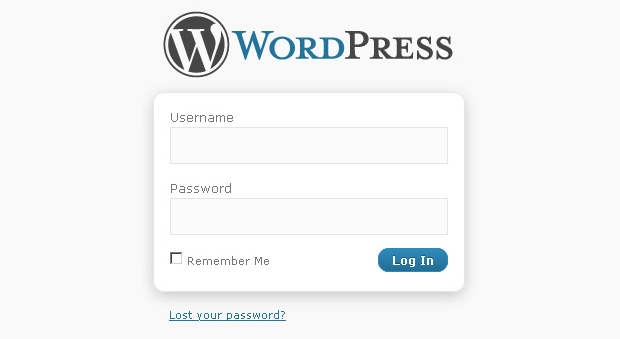 You can now login to your WordPress Admin Panel to manage your blog. WordPress has a templating system, which includes widgets that can be rearranged without editing PHP or HTML code, as well as themes that can be installed and switched between. The PHP and HTML code in themes can also be edited for more advanced customizations. You can do everything using WordPress like changing themes, installing plug-in and lot more.